I’ve been acting ever since the 6th Grade Talent Show. So you’d think I’d be pretty good at memorization. Memorization was always the thorn in my theatrical side, and the cause of a couple of serious on-stage meltdowns. So when, in the fall of 2013, I was offered the talky lead role in an independent film, Promises to Keep, I gleefully pumped my fist, and then went and had a panic attack. 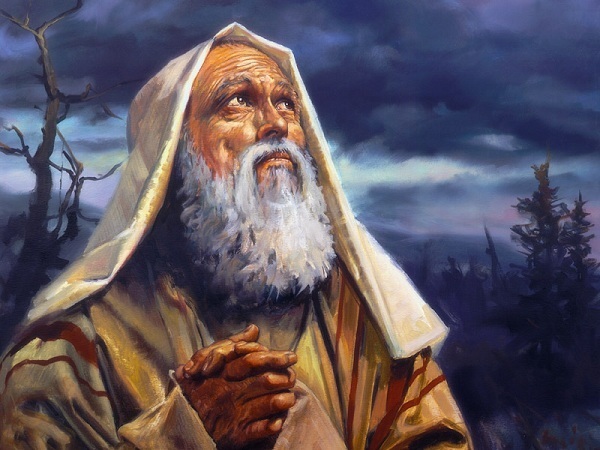 Just days before filming began,“Father Abraham” popped into my head. Not the Jewish patriarch, but the kid’s song of the same name, famous for its silly gestures. So I began making up goofy hand signals to go with my lines—not to perform on film, godforbid, just to help with the memorization process. 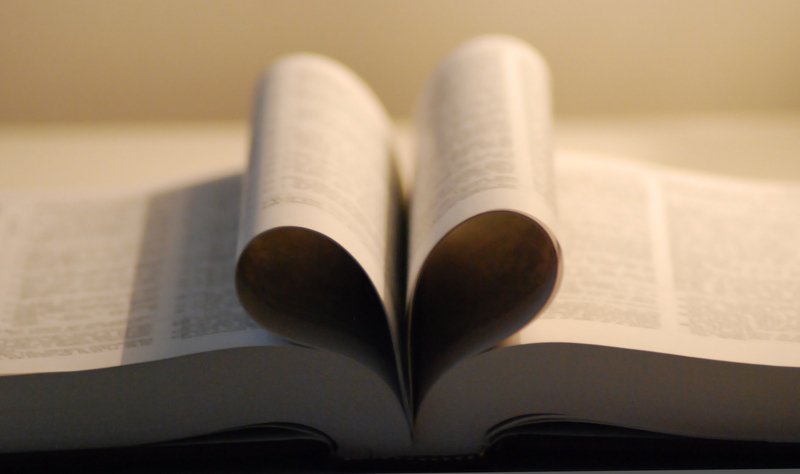 Could memorizing and meditating upon Scripture positively impact my prayer life? For years I’d savored the complex flavors of God’s word, but had never made it a true meal, the food I lived on! It was time, I realized, to start hiding God’s word in my heart, implanting it in my mind! And now with my memorization issue resolved, I no longer had a reason not to try. My spiritual life has been revolutionized! I no longer struggle to maintain meaningful prayer. With this God-given grid in place, I look forward to viewing each day from God’s perspective. I pray My Verses, using them as jumping off points to talk about the day, to pray for others, to hear God’s living word, that still small voice, and to reflect upon the written word embedded in my heart! Could this be a step God is calling you to take? This entry was posted in For Pastors and Teachers, Memoir, Religion/Faith, Story Power and tagged Bible, Connecting With God, James 1:21-22, memorization, prayer, Psalm 102:18. Bookmark the permalink. Awesome post! Neat style of writing, too! SO glad I backtracked in your posts to this one! First, I agree with Dorothy, above. Your writing style is such a pleasure to read. Second, you’ve presented some life-changing ideas here: 1. Reading scripture with the purpose (among others) of finding “MY verses” brings such wonderful anticipation to opening its pages. 2. Allowing scripture to displace lies with truth brings peace of mind, confidence of spirit, and wisdom for the day. 3. Praying the scriptures increases the power of our requests (Isaiah 55:11). Thank you, Mitch, for sharing this glimpse into the power of your prayer life! Indeed. And thank you, Akhila! I’m not good at memorizing either and also, worked hard to memorize portions of the Bible. If I ‘sing’ them, it helps and KJV is easier for me to memorize, even though it is harder to understand, because it is more like poetry or prose. Still…those memorized words can get shifted in my mind over time, I need daily manna to keep it fresh. I write about my struggle with being quiet and still so I can hear God’s whisper…that still small voice. Thank you for sharing your walk of faith and for this very inspirational post! The honor is mine, Rick. Mitch, I have often said that putting actions with words greatly helps me in memorizing scripture. I do public dramatizations of the Psalms and the Epistle of James. Without actions and emotion they are flat platitudes. I fully agree that the memorized word transforms your thinking every day. As always, you inspire me, and teach me. I will put this into practice. Honestly, I hate memorizing…anything. Okay, here I go. Do you describe anywhere the strategy of visual memorizing? I take a literal approach, Dawn, gesturing for “give,” holding up two fingers for “to” or “too,” clutching my heart for “love,” etc. Whatever works, really. It’s silly, but effective. This subject has been on my mind lately. Years ago I thought to my self, why can I memorize rhymes and jump rope songs but not scripture? I thought maybe the enemy was whispering to me that I’m stupid, so I wouldn’t try harder. I prayed and asked God to help me. Now I do pretty well with writing on index cards and keeping them handy. Good post, Mitch. The other cool thing I’ve experienced with memorization is that the verses come to the surface of your mind when you need them. We give the Holy Spirit more material to help us with. Indeed, Colleen. I have experienced that numerous times. Thanks for this post, Mitch. I think memorization is so key to our spiritual lives, I wish the Bible were recited as often as it is read in church services. That demonstrates someone making it a priority. Plus the power of delivery is so much stronger than reading, I think it brings the Scripture alive for people.